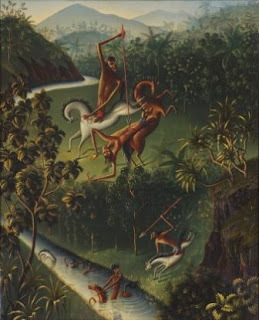 Napoleon’s mocking epithet for the British belied the importance of commerce to the expansion of the British Empire. Singapore’s founding as a port and trading outpost immediately set the stage for local commerce in British infrastructure – the retail trade in a shophouse or as an itinerant stall along the road. 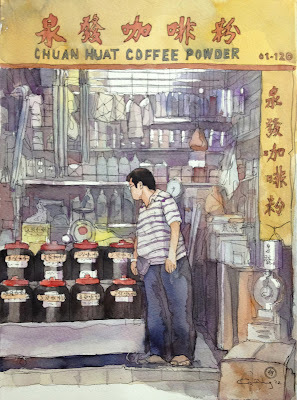 In these days of glittery malls and internet transactions, Foo Kwee Horng’s watercolours revisit the city-state's nostalgic trading origins, depicting old-fashioned shopfronts. 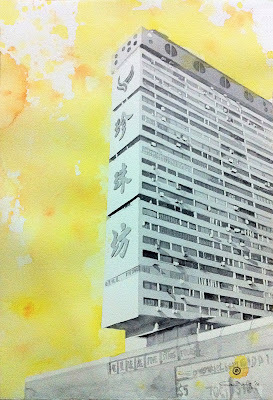 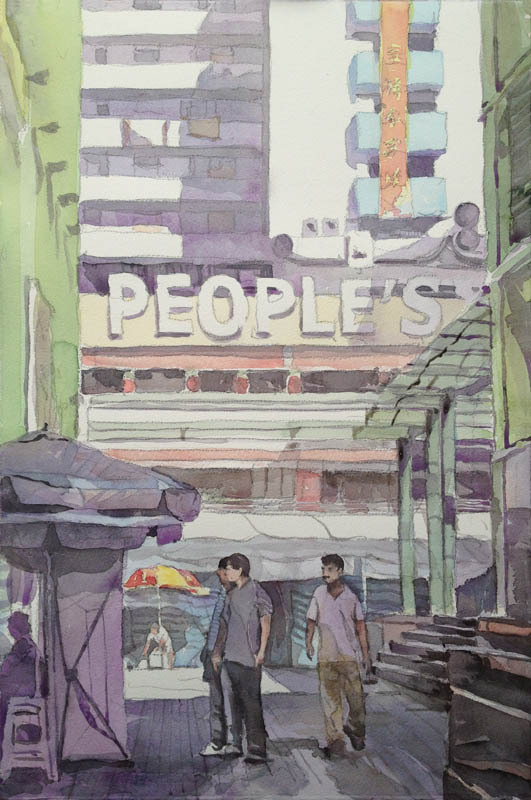 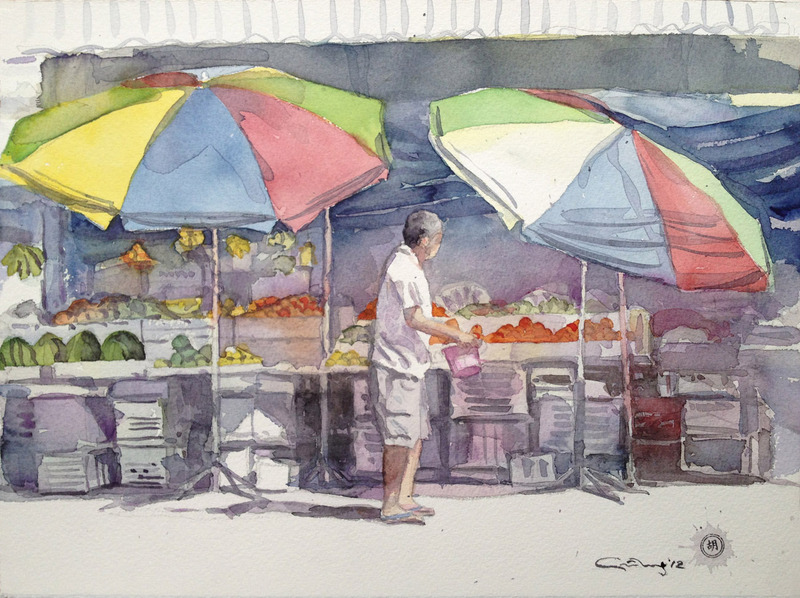 Unlike traditional Singapore watercolours which celebrate the architecture and keep figures at a distant impersonality, several of Kwee Horng’s compositions get upfront and personal with customer and shopkeeper alike. 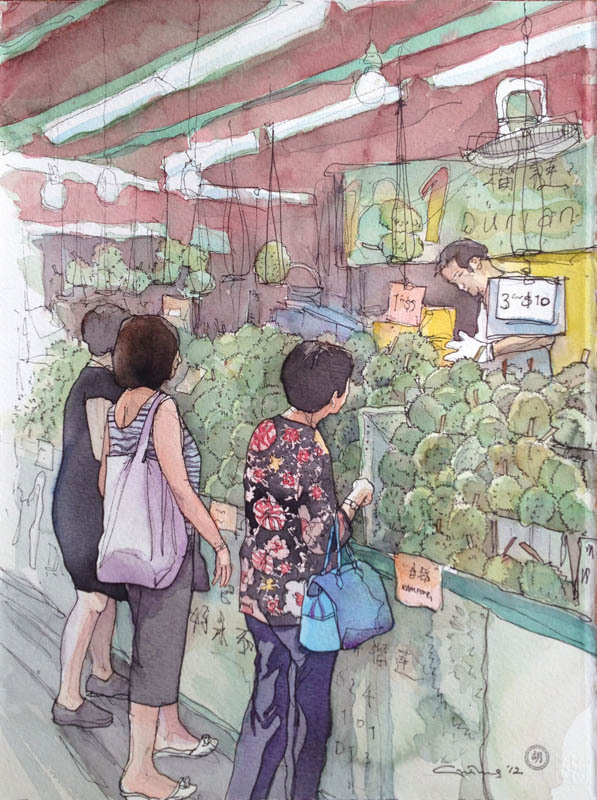 The goods of sale are lovingly detailed, as are their nostalgic settings and arrangements. 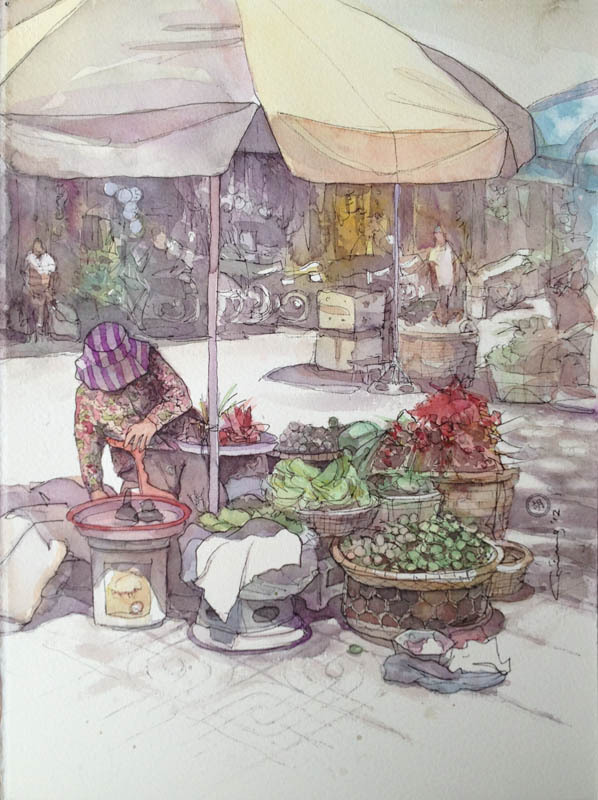 In this exhibition, Kwee Horng uses not only pure watercolour, but ink and wash, and also experiments with artful monochromes. 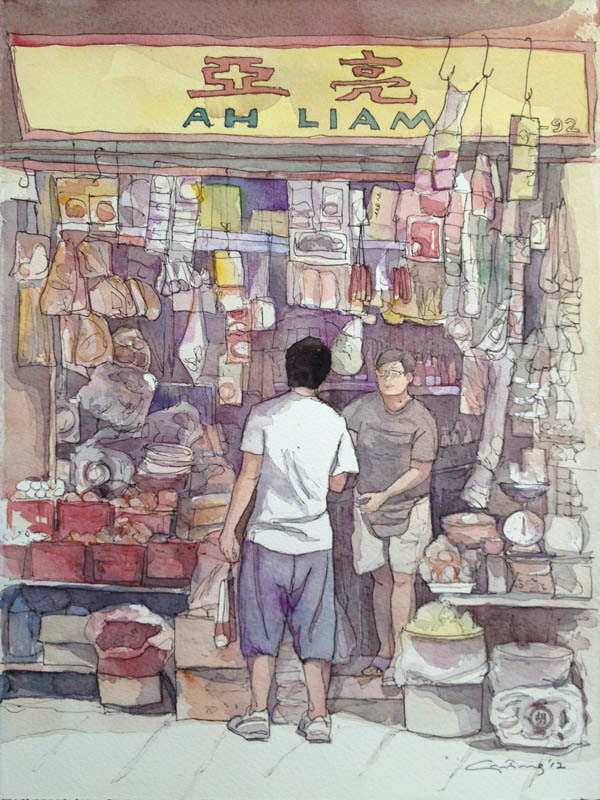 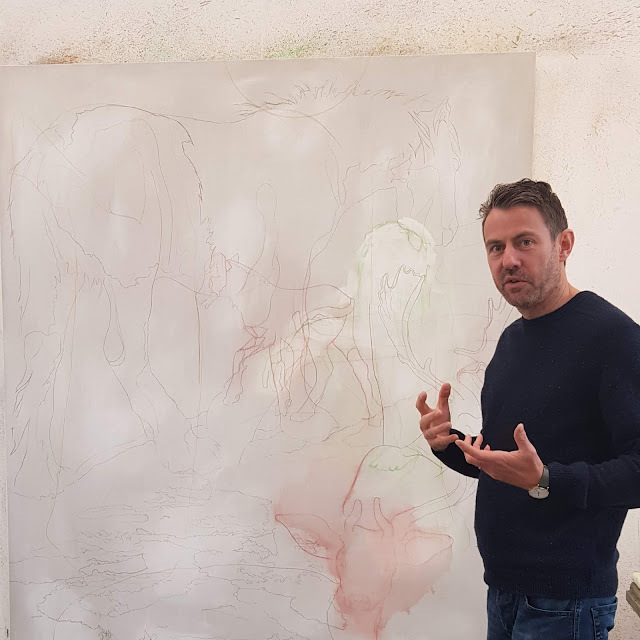 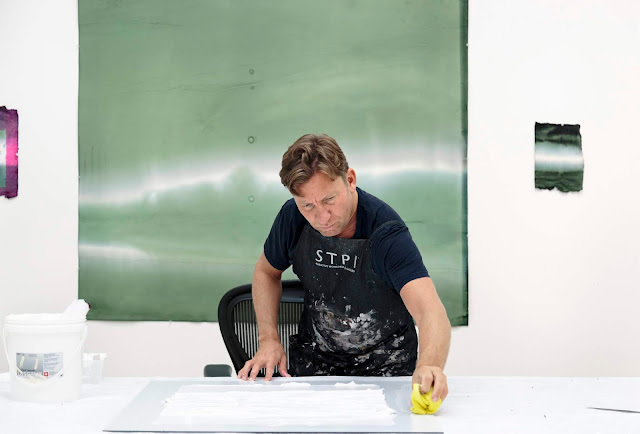 Apart from shopfronts, the artist also broaches their evolution into the first shopping centre complexes, as well as transport modes so important to commerce. A NATION OF SHOPKEEPERS will open at Utterly Art Exhibition Space in Singapore on Aug 7.